For the ninth consecutive year, we are searching. We are looking for one Golden Tee player with an idea. 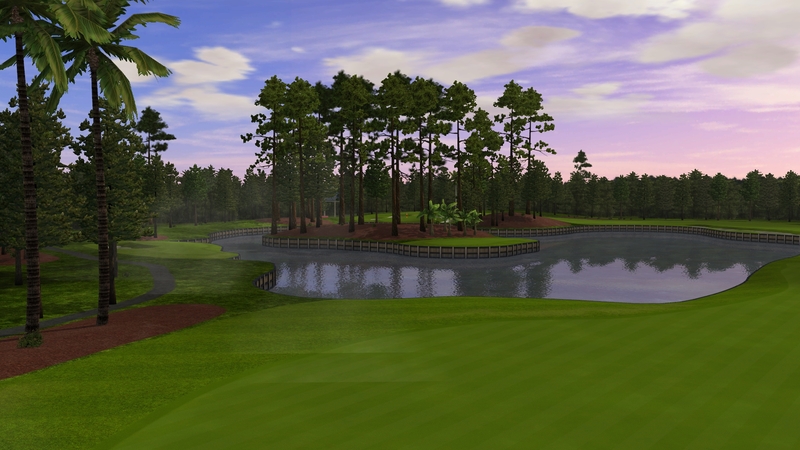 More specifically, we are looking for one dream par-3, par-4 or par-5 that will come from someone—perhaps you—and become a playable hole in Golden Tee 2017. This hole will be played millions of times by enthusiasts all over the world. It will decide events and countless matches between buddies. It will be a critical piece of next fall’s update, and there’s no reason it can’t possibly come from you. Oh, and the winner will take home their very own Golden Tee Home Edition—a grand prize valued at more than $4,000. All finalists will take home gear from our new sponsor, Callaway Golf, which we are thrilled to introduce. Welcome to the 2017 Design-a-Hole Contest, the biggest the contest has ever been. Creativity is the foundation of the contest, and the premise is both familiar and simple in nature. Design any par-3, par-4, or par-5, submit your idea and you have a chance at Golden Tee immortality. You can submit as many designs as you like. Whether you have one brilliant idea or 100 quality attempts, we will dissect and study each and every one (more on that in a bit). How you present your design is up to you. You can draw it, color it, film it, craft on your computer, explain it with text or do a combination of it all. Over the past eight years, we have seen everything from cocktail napkins to ransom notes to dioramas. You don’t have to be a master artist to submit. This is not about creating a Picasso. If the design makes Golden Tee sense—and it is completely original in nature—it will get the Design-a-Hole judges attention. There is no perfect method to becoming a finalist; you can carve your own path. 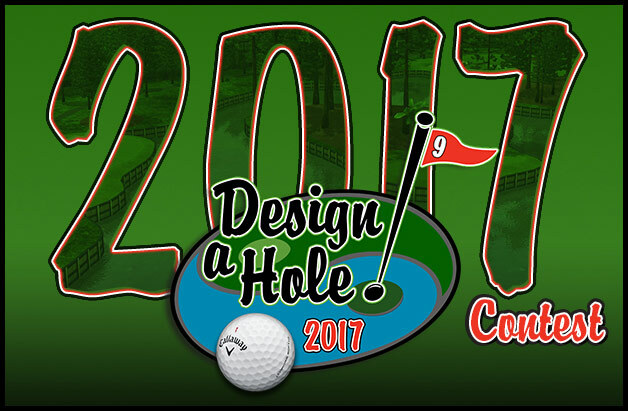 The winner of the 2017 Design-a-Hole Contest will watch their design go from concept to playable hole in Golden Tee 2017. It will be placed strategically on one of the five new courses and live there for eternity. On top of this, our winner will also take home their very own Golden Tee Home Edition along with a year subscription of online play. Not only will you be able to play your design in the next installment of the game; you’ll be able to play it in the comfort of your own home. The contest, however, is not limited to one player. We’re very happy to partner with Callaway for the contest. All 10 finalists will receive at least a box of Callaway Chrome Soft Golf Balls and a Golden Tee LIVE t-shirt and a $50 Golden Tee LIVE Gift Card. Our third-place finisher will receive the items above the golf balls, t-shirt and a $200 Gift Card. And our runner-up will take home the new XR 16 driver, a box of golf balls, a t-shirt and a $100 Golden Tee LIVE Gift Card. While the grand prize is what everyone’s after, the rewards don’t stop there. The easiest and most common way to submit is through email. Send your designs to design-a-hole@itsgames.com Once you do, you will be given conformation that your design was received. You can also mail us your design if you would like. Don’t have a scanner? Have an actual model you would like us to see? Send it to the address below, although please be sure to include your name, email and telephone number if you do. The submission period of the Design-a-Hole Contest will be open from Tuesday, March 2 until Friday, April 15. Once again, you are not limited to one design. But be sure you get your submissions in by April 15. How Will Finalists and Winners Be Determined? 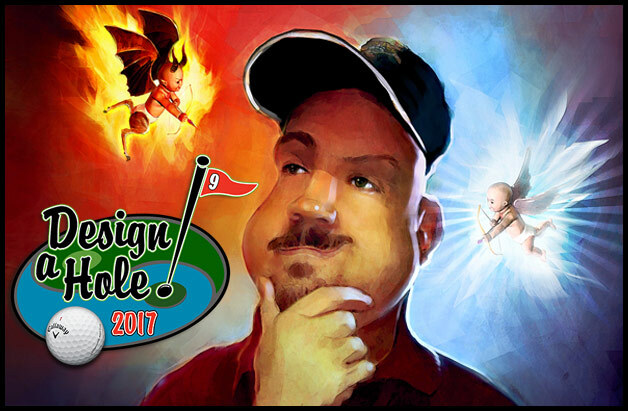 The week after the submission period closes, our prestigious Design-a-Hole judges—led by course designer and Golden Tee co-creator Jim Zielinski—will spend days looking over each individual design. By the end of the week, they will have chosen the 10 finalists. On Monday, April 25, we will reveal our first finalist and spend the next two weeks highlighting each design on Goldentee.com. 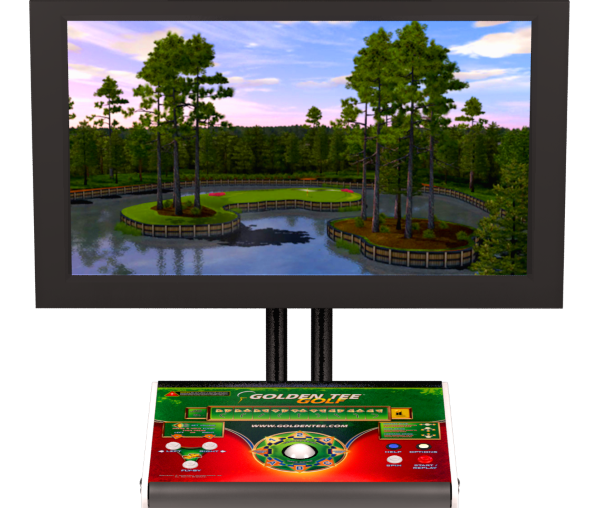 At that point, we will welcome feedback on the Golden Tee Facebook and Twitter pages. This feedback will help our judges narrow down a field of 10 to three. On Friday, May 6, we will announce a winner. Ultimately, it will be up to the judges to decide a winner. But the response from players and fans of the game will play a critical role in deciding what design makes its way into Golden Tee 2017. Over the weeks to follow, we will be exploring creative ways and tips to help you come up with your dream design. In the meantime, start with this. Don’t overthink it. Think about design could actually make its way into Golden Tee. As enticing as that hole on the moon or in the baseball stadium might sound, these are not designs that could fit naturally into the course. This contest is about the golf strategy involved. It’s about creating some new but also not straying too far away from Golden Tee feasibility. If you can find the right combination or originality without overdoing it, you’ll have a very good chance to win. We hope you enjoy. This is one of our favorite contests of the year, and we cannot wait to see what you come up with. Don’t just play Golden Tee; become a part of your favorite game.